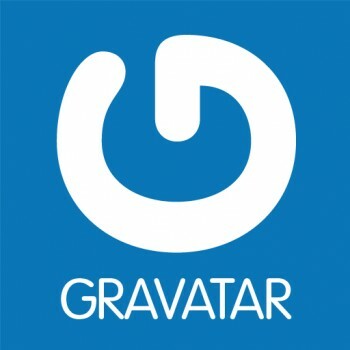 Until now Gravatar has just been a way for you to use one avatar across the web. It’s worked well and allowed millions of sites to grab avatars to use in comments, forums etc. without forcing the user to upload a photo every time. Today Automattic (the company behind WordPress) has announced an upgrade that turns your gravatar account into a profile page complete with links to your various other profiles. Not unlike many an online business card. “What if you could attach more of yourself to it to better represent your style, flair, and personality not just with more photos but with links to all the cool stuff you’re doing around the web. That’s what Gravatar profiles are.” writes Beau Lebens on the wordpress.com blog. So what do you get? Currently, it’s a pretty standard profile page. You get a gorgeously minimalist design (with vanity URL to accompany it), a gallery of photos, contact details, connections with your other (verified) profile pages as well as a number of personal links. Connecting your account to youR various other profiles (Digg, twitter, Facebook) works better than any other social profile I’ve come across including Google Buzz which tries to do the same, but fails miserably. The real story here though is whether Automattic is seriously considering turning Gravatar into the next Social Networking behemoth or whether this is merely a small move to make Gravatar profiles more useful. The answer very much depends on whether you consider public profile pages as significant an element of a modern day social network as I do. “All profiles will become public for everyone” the announcement post points out. This is not optional. This reminds me of when Google initially announced steps to develop its profile pages and I wrote a post describing how Google were in fact building a “Social Network under our very noses.” I was criticized back then, but one look at Google Buzz should prove that for once, I was right. But where Google has apps, what has Gravatar got? Blogs. Gravatar has the backing of millions of blogs, plus an activity stream that could potentially be filled with comments left on millions of websites, favorited sites, favorited stories, recently read stories and more. Of course then there’s the potential to import activity from other sites, Flickr, Twitter etc. too. This isn’t entirely a new idea either. In many respects what you see before you is Automattic’s counter move to Disqus who have gradually replaced WordPress comments on many popular blogs and have also been slowly building a social network under our very noses. So what say you? How significant is this? To get started, either edit your profile on WordPress.com or log straight into Gravatar.com and get your account set up.